Coming October 28, 2018. Candy, candy, candy! Grab a costume and sign up for the Halloween Candy Run in Dayton, Ohio. Costumed runners race about town and dodge scary monsters while each aid station will be decorated in Halloween regalia with volunteers handing out water and candy. Several distances are available: 1-Mile, 5K, and 10K, or go for the Beast 3-Race Challenge, running all 3 race distances for a total of 10.3 miles. Celebrate post-race with pizza, beer, music, and more candy. 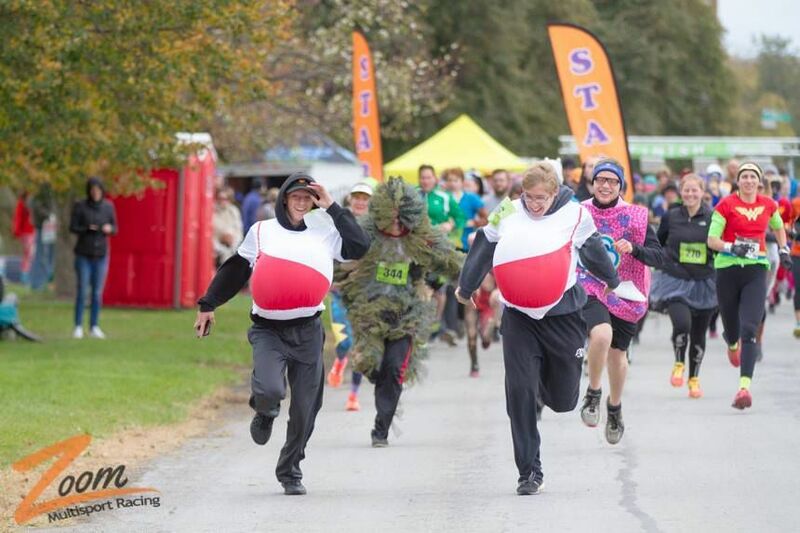 Who says that Halloween candy is only for kids – check out the Halloween Candy Run!